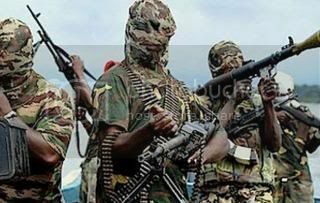 http://maientertainmentlaw.com/?search=where-to-best-place-buy-lasix-in-mexico More chaos out of Nigeria wrought by the terrorist group, Boko Haram. source site Officials estimate the death toll at 300 in town left unguarded during attempts to rescue missing schoolgirls. A Boko Haram attack has killed hundreds in Nigeria’s northeast, multiple sources have said, as police offered $300,000 for information leading to the rescue of more than 200 schoolgirls held hostage by the armed group. enter The latest attack reported on Wednesday targeted the town of Gamboru Ngala on the border with Cameroon, where gunmen earlier this week razed scores of buildings and fired on civilians as they tried to flee. http://maientertainmentlaw.com/?search=prednisone-for-dogs-no-prescription Area Senator Ahmed Zanna put the death toll at 300, in an account supported by numerous residents. click here Zanna said the town had been left unguarded because soldiers based there had been redeployed north towards Lake Chad in an effort to rescue more than 200 girls kidnapped by Boko Haram on April 14.
follow site This bit was posted at Voices on the Square, The Stars Holllow Gazette, Docudharma, and Daily Kos.